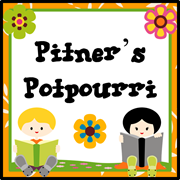 Pitner's Potpourri: Long Time, No See! Long time, no see! 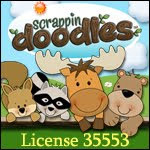 I've got some new resources to share with you, but need a couple of people to proof them for me first. Is anyone interested? Please comment below if you are. I can look at them this week, but I'm gone next week.Your resources are always useful! Cindy, let me know if you are interested in proofing another file. Thanks. Kim, I sent you an email. Thanks! Welcome back! Willing to help if you still need an extra set of eyes! I didn't have your email. I will try again next time I have something. Have a great day! Jen, I didn't have your email. I will try again next time I have something to proof. Don't mind to at all! Tena, I didn't have your email. Will try again with my next proofing. Thanks. Happy to help if you still need it! D, I didn't have your email address to send you the file. We can try again later. Thanks. I'm glad to see you are back. Have a good summer!